We are delighted to hear that a new article, ‘Shipping Corridors Through the Inuit Homeland’, has been published by ICE LAW members Claudio Aporta, Stephanie Kane and Aldo Chircop. Featured in a special issue of Limn on ‘chokepoints’, this paper focuses on the arctic chokepoints emerging in Canada’s Arctic archipelago due to sea-ice melt, and explores how shipping industry and Inuit conceptions of sea ice relate and what their convergence might mean for governance. 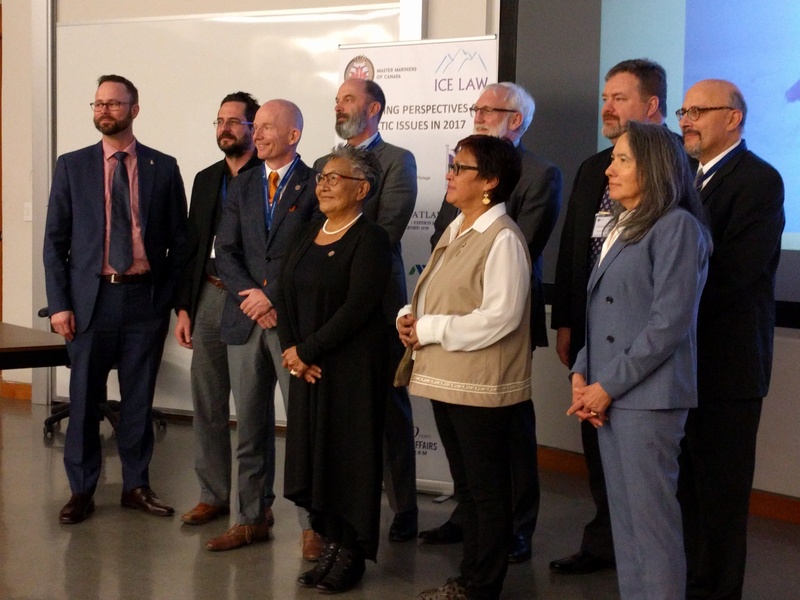 This collaborative research builds on discussions conducted at last year’s seminar, ‘Rethinking Perspectives on Arctic Issues in 2017’, convened jointly by ICE LAW’s Migrations and Mobilities Subproject and the Master Mariners of Canada at Dalhousie University in April 2017. Please see below for a preview of the article and a link to the full text. Regulators, mariners and Inuit leaders at ‘Rethinking Perspectives on Arctic Issues in 2017’ at Dalhousie University. Aporta, C., Kane, S.C. & Chircop, A. Shipping Corridors Through the Inuit Homeland. Limn 10: Chokepoints. 2018.